The Amazing Spider-Man 2(2014) Directed by: Marc Web Writer: Alex Kurtzman, Roberto Orci (screenplay), Stan Lee, Steve Ditko (Comic Book) Stars: Andrew Garfield, Emma Stone, Jamie Foxx, Sally Field Run Time: 142 Min Rated PG (Canada) Rated PG-13 (MPAA) for sequences of sci-fi action/violence. The first words everyone hears as the closing credits roll following The Amazing Spider-Man 2are from Kendrick Lamar: "And everyone knows the story of David and Goliath." These are also the opening words of Alisha Keys’ song "It's On Again. "It seems the song is placed at the end of the movie in case the David and Goliath theme wasn't obvious. But it begs the question: "Does everyone know the story of David and Goliath?" David and Goliath is a perennial Hollywood theme and some might wonder how many times Hollywood can tell the story of the little guy facing incredible odds and, against all hope, surviving and winning the day. Or at least that's the way Hollywood tells it. 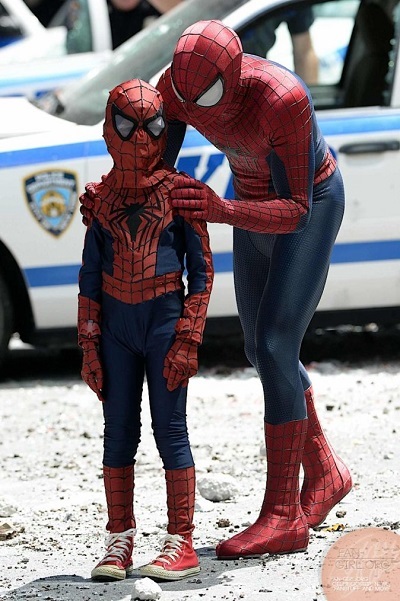 Like the young David the movie's hero Peter Parker (Andrew Garfield) is really just a kid and comes off as cocky and full of himself. Like David, Peter Parker is willing to stand toe-to-toe with a larger-than-life villain to save people in danger. In David's case he was, in part, willing to face Goliath because the Philistine army was threatening to overrun Israel and rule them. In Peter Parker's case New York City is threatened by three villains, the chief of whom is Electro (Jamie Foxx), a man who eventually becomes ‘electricity’ and as electricity is a giant of a villain. At one point in the film Electro, in his electrical form, lights up an office tower making the windows into a gigantic grotesque image of his face as he taunts Spider-Man. Standing against the enormous face of Electro, Spider-Man looks small like David standing before Goliath. On one level Electro fits the bill of Goliath, on another level he is more of a Satan figure wanting to plunge New York into his darkness. Electro says, "I will cut the light and soon everyone in this city will know how it feels to live in my world ... a world without power ... a world without mercy ... a world without Spider-Man." Anyone planning to see this film, or anyone who has already, would be wise to crack open a Bible and read 1 Samuel Chapters 16 and 17,the part of the Bible with the account of David and Goliath. After reading it you will see easily that Alex Kurtzman and Roberto Orci (Star Trek: Into Darkness) the writers of The Amazing Spider-Man 2 are not so much retelling this biblical narrative as much as appropriating elements of it to tell their story. Unlike the recent movie Noah which was specifically about the biblical Noah but then deviated all over the place, The Amazing Spiderman 2 doesn't say it's a movie about the biblical David. What is it then? It's an analogy. In this way the relationship between David and Spider-Man is metaphorical. Clearly the biblical David didn't shoot spider webs and crawl on the side of buildings and Peter Parker doesn't use a sling and five smooth stones to take down Electro. Still, knowing about David and Goliath makes watching the film more enjoyable and provides an opportunity to compare and contrast the biblical David and Marvel's Peter Parker. Having a good grasp on the story of David and Goliath will also provide an opportunity to share it with others in relation to this film. Knowing it well will be the key because there is one big element of the Bible’s account missing from Kutzman and Orci's analogy. The Amazing Spider-Man 2 tells the unfolding story of Peter Parker as Spider-Man whose fight becomes not simply against one villain or even a string of villains, but rather against a corporation. Lurking behind all these villains is OsCorp and ultimately OsCorp is the Goliath Spider-Man is squared up against. When comparing and contrasting David and Goliath with The Amazing Spider-Man 2the thing readers of the Scriptural account will notice is that it's the LORD not David who defeats Goliath. David is God's instrument. This is the big missing part of the analogy. Christian viewers may wish to consider how Hollywood rightly retains elements of David's part in the story and cuts the LORD'S involvement out both in this film and others using this same analogy. In many ways this is to be expected as this particular film is largely secular. However, there is one additional interesting concept woven into the fabric of The Amazing Spider-Man 2that may be worth thinking about. Peter Parker as Spider-Man literally becomes/is the embodiment of hope for the people of New York City. He is merciful and kind, literally saving people in trouble and danger, and the people embrace him as the embodiment of hope. Keeping this in mind remember that scripturally there are things about David that point forward to Jesus. So in a similar way there may be things about Spider-Man that also point to Jesus. In the film, hope may be that thing. Jesus, for the Christian, is the embodiment of things like Truth and Life and in the book of Hebrews chapter six Jesus is described as Hope— "the Hope set before us," (Hebrews 6:18) Hope in the face of life's troubles and dangers, and Hope in the face of death. 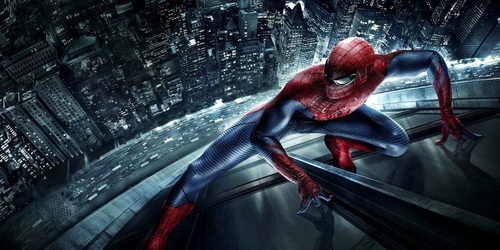 Is The Amazing Spider-Man 2an amazing super hero movie? Frequent watchers of super hero movies will find many familiar things in The Amazing Spider-Man 2.For some this will breed contempt, for others it will be comforting. Overall this sequel is an improvement on the first film, but often it feels a little unbalanced, mostly because the action sequences have a video-game feel yet some of the dramatic scenes are unusually strong. One that comes to mind is a touching scene between Garfield's Peter Parker and Aunt May, played by Sally Field, where she shares her feelings about Peter's parents, particularly his father. While focusing in on the romance between Gwen Stacy (Emma Stone) and Peter Parker was a good move, the film could have used that same sort of sharp focus overall. An example is in the number of villains: The film suffers from the classic super hero sequel trouble of having one too many villains. Two villains with OsCorp looming in the background would have been sufficient. The Amazing Spider-Man 2would benefit from more editing and balance. Somewhere within its 2-hour 22 minutes running time there is a good solid movie, maybe even one that is Amazing.